Vijay Kedia is giving us a glimpse into what goes on in his mind when he is constructing a portfolio. He has carefully selected the top performers from diverse sectors. This strategy ensures that he has a finger in each sector without excessive diversification. 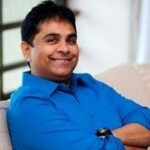 In the auto space, Vijay Kedia holds Atul Auto. Construction is represented by Cera Sanitaryware, Finance by LIC Housing, Defence by Premier Explosives, Chemicals by Sudarshan Chemicals, Power by Apar Industries, Consumer by Liberty Shoes, FMCG by Amrutanjan and Packaging by Manjushree Technopack. 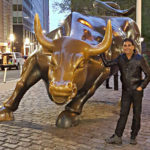 Vijay Kedia also follows the policy of “portfolio weightage” where under tried and tested high-conviction stocks are given higher weight in the portfolio as compared to untested newcomers. One more aspect worth noting is that Vijay Kedia is the old-school ‘Buy-N-Hold’ investor. 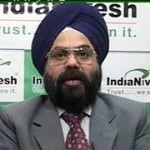 In his latest interview, Kedia remarked that he advised his friends to buy stocks with “Vision 2020” i.e. buy and hold for at least five years, till 2020. Interestingly, though the packaging sector is already represented in the portfolio by Manjushree Technopack (a stock also held by Dolly Khanna), Vijay Kedia has gone ahead and added another packaging company, TCPL Packaging. In the December 2014 quarter, Vijay Kedia bought 95,053 shares of TCPL Packaging. At the CMP of Rs. 441, the investment is worth Rs. 4.19 crore. TCPL Packaging is a micro-cap with a market capitalisation of only Rs. 384 crore. It is promoted by the Kanoria family. It began commercial production of printed folding cartons in April 1990. It has six manufacturing units; three in Silvassa, two in Haridwar and one in Goa. It supplies packaging materials to tobacco, food and other FMCG product companies including large players such as HUL, ITC, GSK Consumer, Godrej Consumer Products and Marico. It also has substantial exports of nearly 22% of the annual revenues. TCPL appears to be on a strong growth trajectory. For FY 2013-14, the revenues were Rs. 412.43 crore registering a CAGR in excess of 16% over the past five years. The volume growth is about 12% CAGR. Sharekhan has studied TCPL Packaging in detail. They had issued a buy call in September 2014 when the stock was at Rs. 255. They advised a buy on the basis that the revenues will grow at 20%, OPM will increase gradually, the balance sheet is comfortable, the return ratios will see strong traction and that the valuation is at discount to peers. When the stock surged to Rs. 425 in November 2014 (70% gain) Sharekhan advised profit booking on the basis that the positives have been priced in. It is also worth noting that several other savvy investors are bullish on packaging companies as a proxy to FMCG stocks. Dolly Khanna, for instance, holds 1,40,686 shares of Manushree Technopack. Ramesh Damani also disclosed that he is bullish on packaging stocks and that he holds TCPL Packaging and International Paper APPM. vijay kedia holds 25% stake or in a Fmcg company called lykis as promoter.market cap 70 crore.Another atul auto in the making. When it’s sales cross a certain figure, and the story is ready to be rolled out, you can bet your last paise that there will be coverage on the stock.